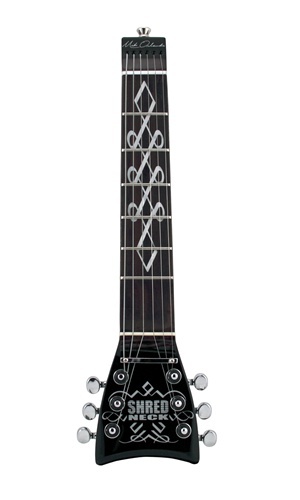 This new Mike Orlando Signature model features a larger picking route, beautiful scroll work inlay on a rosewood fingerboard, black finish with chrome hardware. 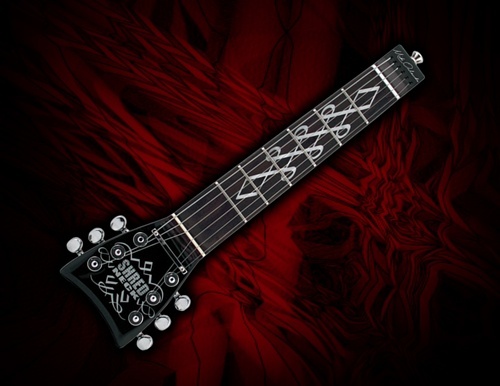 Tuner Tips and a GB1 gig bag are included. 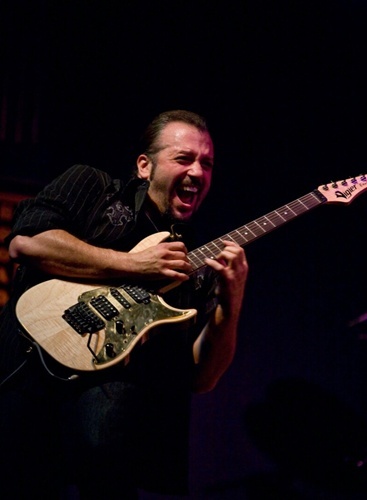 Artist Bio: Mike Orlando is a guitarist/artist in the rock band Adrenaline Mob. Mike also fronts Mike Orlando’s Sonic Stomp instrumental band. 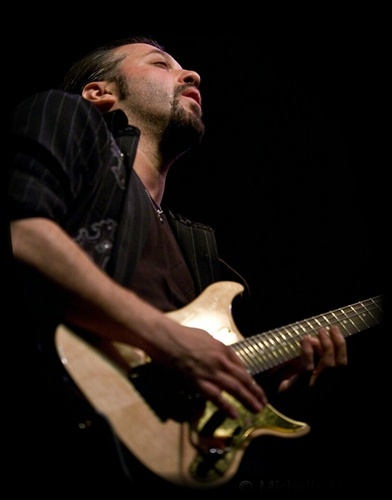 Mike's debut Instrumental CD Sonic Stomp was released to worldwide critical acclaim and his 2010 release of Sonic Stomp II secured Mike as one of the top guitarists of his time. 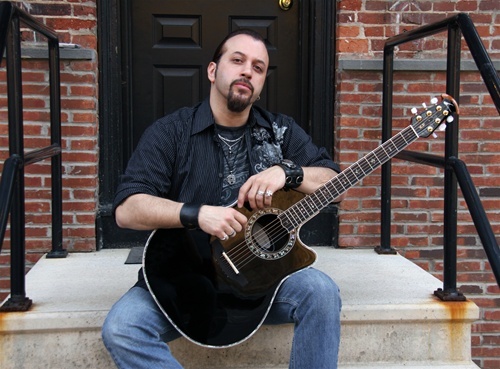 Mike also plays with Symphony X frontman/vocalist Russell Allen and their writing collaborations will be released on Russell’s 2010 solo album on Frontier Records. 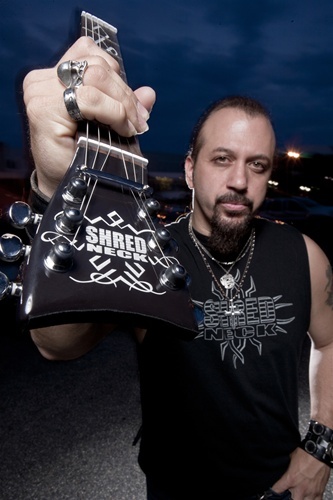 Mike is also a featured guitarist on Magna Carta's February 10, 2009 release "Guitars That Ate My Brain", which features 10 of some of metals premier guitarists. Mike is also currently in production with his new band "TRED" which features Rudy Sarazon on Bass, AJ Pero on Drums and Time "Ripper" Owens on vocals. Mike was selected as a Top Ten Finalist Worldwide for Guitar Player Magazine's Guitar Superstar of the Year 2008 from thousands of passionate guitarists worldwide. 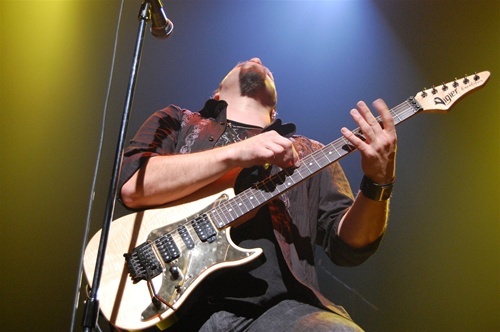 Since being selected, he has been featured in Guitar Player Magazine several times and is very proud to be associated with Guitar Player Magazine..Sonic Stomp was Mike’s debut CD as an instrumental artist. The twelve tracks take the listener from raging over the top guitar playing with sheer finesse and lightening speed to beautiful ballads with great emotional feel and everything in between. 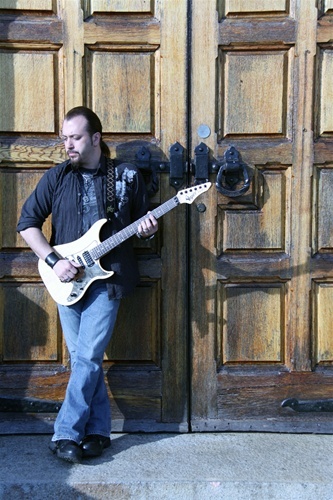 Mike proudly endorses such companies as Charvel Guitars, GHS Strings, Rocktron products and Shredneck. He is one of the featured artists on the GHS Strings and Rocktron sites and performs many of the Rocktron audio clips, including the Tri-Wah, Black Cat Moan, The Banshee Talkbox. Cyborg Delay, Cyborg Reverb, and mostly all audio clips for Utopia G100,Utopia G200 and G300 Utopia 300. In addition he proudly endorses ZZYX Snap Jack Cables and DiMarzio products. Mike is very excited to share that a Rocktron signature wah pedal and also a signature Shreneck are in development. Mike has also recently teamed up with Legendary Acoustic Guitars-Ovation & Rockbag by Warwick!